BEIJING - A highly publicized incident about milk products that caused baby girls to develop breasts may have been a smear campaign by a competitor. "We have reported the case to the police and any individual or organization who made up and released the false information will be held legally responsible," the statement read. "All our senior management staff are now safe and sound at work," the company said. Yili also insisted on Wednesday that its reputation has been tarnished by competitors. "We are sure that Mengniu's division manager, An Yong, and members of staff at BossePR have been caught by police," Ma Teng, publicity manger of Yili, told China Daily on Wednesday. 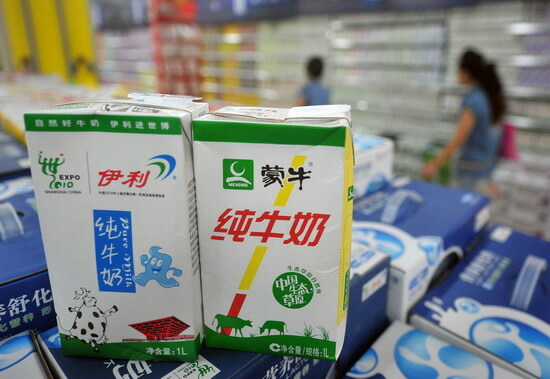 Chen Yu, a dairy industry analyst for the Ministry of Agriculture, said infant milk powder accounted for a very small amount of Mengniu's business and that Synutra, a leading infant milk powder producer, is not one of Mengniu's main competitors. "It is not logical for Mengniu to plot a scandal against Synutra," Chen told China Daily.